Syos mouthpiece is a great example of the evolution and natural symbiosis of sound and design. Today is essential to show your personality and uniqueness, and that is exactly what this product embodies -it inspires you to be bright, warm, powerful and also- to inspire others. Janis is a musician, producer and teacher. Since 2006, he has participated in several Masterclasses and festivals including the Saulkrasti Jazz Festival. Janis studied at the Institute of Freiburg. 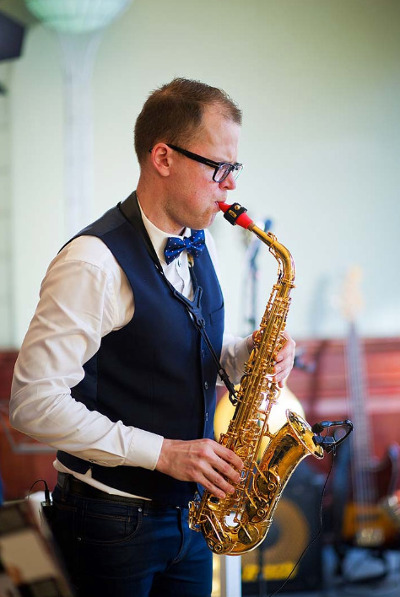 Throughout his studies he has perfected his skills as a saxophonist, music producer and manager. In 2007, Janis created the neo-soul project Soul Emotion which mixes r&b and modern jazz, with the saxophonist Deniss Paskevics. Since 2009 he collaborates with the artist DJ Uvis together they experiment different styles of music going from the soul to the Electro jazz under the name of DjsUvisJDanevics. This particular style mixes the traditional sound of the saxophone with different sounds jazz, soul and blues for an acid jazz and electro style.